This is the fourth post in a 14-week study. More information and resources can be found here. Keller begins Chapter 3 by posing this question: “Is a belief in absolute truth the enemy of freedom?” Then he proceeds to, for the remainder of the chapter, deconstruct this commonly held notion. He quotes Chloe, a young artist from New York City, “The Christians I know don’t seem to be able to think for themselves. I believe each individual must determine truth for him- or herself.” (p.35). By claiming truth you are asserting power according to Nietzsche and his disciple Foucault…“Truth is a thing of this world. It is produced only by multiple forms of constraint and that includes the regular effects of power.” (p.37) But this argument cannot stand, explains Keller. If you say that all claims to truth are actually attempts to garner power, then this must include your very own statement. 3. a social, religious, occupational, or other group sharing common characteristics or interests and perceived or perceiving itself as distinct in some respect from the larger society within which it exists. A community, by definition, is a group that shares characteristics and defines itself as distinct, because of those unique characteristics, from society as a whole. And yet, the Christian community has been accused of social divisiveness. True, it is not open to all and requires a certain set of beliefs in order to be a member. But isn’t this what community is all about? Freedom to determine one’s own moral standards in order to achieve a full life has become a commonplace belief in modern society. But Keller says that this is an oversimplification. “In fact, in many cases, confinement and constraint is actually a means to liberation.” (p. 46) He gives the example of the fish who is only truly free if it is limited to life in the water. It’s potential for “a full life”, if moved onto land, would be impossible. In fact, it would be certain death. Indeed. When we sit under the weight of what Jesus did on the cross, we feel more than appreciation and gratitude. We feel so thankful and and so loved, that we are overwhelmed with love in return. And so springs up our desire to be like Christ. This is what motivates the Christ-follower. God loved us first. “We love because he first loved us.” John 4:19. God initiates. We respond. And it is only when we are acting in response to His unconditional love and His infinite worth that we can do any of the things to which Jesus calls His followers. And understanding this distinction is crucial. In fact, it makes all the difference. Question: Have you made sacrifices to cultivate a deep and loving relationship with the Lord? Was there something specific you were afraid to give up? What was the outcome? My response: Absolutely. Most of the time it doesn’t even really feel like a sacrifice. More like something that simply needs to be done – sometimes joyfully sometimes dutifully depending on how closely I am walking with Him. Honestly, caring for those I love rarely feels like sacrifice. The beauty of sacrificing things for Jesus is that, if He asks, it is for our good and His glory. I don’t have to doubt or wonder if making this particular sacrifice is a good decision for me – I can trust that my Creator knows best. But does that mean I always respond this way? Absolutely not. And the more fearful I am of giving up or giving away something, the more closely I need to look at that *thing* and determine why it holds so much value. Is it an idol? Is it due to pride? Selfishness? Fear? As far as something specific… hmmmm. There are so many, but one comes to mind right away. I have resisted giving up “control” of my children. As a mom, I naturally dreamed of what they might grow up to do. Who they might grow up to be. And I felt that, as their mother, I would play a strong role in their becoming this person or achieving that goal. But God. He has pried my fingers off of my children and reminded me, again and again, how much more He loves them that I ever, ever could. And that they, in the deepest sense, belong first and foremost to Him. God loves with a flawless and unconditional love… my love is so limited and so very flawed. Despite my overwhelming love for each of them, it is nothing like the love of their Father. And I am beginning to see the incredible blessing in this – I am not dependent on my children for meaning or happiness and they are not dependent on me. I can show them, by example, to look to God to meet their needs and to reveal who He created them to be… which is so much more beautiful than anything I could ever dream up. Great job, Stefanie, on the summary…I thought this was a difficult chapter to get through. Absolutely nothing in my life can be considered a sacrifice because the other option (a relationship with God Himself) is so infinitely greater than anything else in my world. Kind of like saying, “oh, yeah, I will sacrifice this plate of dirty maggots for that plate of decadent chocolate cake.” There’s just no sacrifice to it! By the way, the chocolate cake from Costco is delicious and I now wish I had a piece…or 30. But I will say that I have sacrificed my relationship with God for things like family, ministry, a clean house, facebook, blog articles, etc. Not that those things aren’t good things…they just aren’t the BEST thing. The second part of the question…afraid to give something up…reminded me of the time right before I believed in Jesus. I was fighting against everything God was doing to call me to Himself because I was afraid of losing my freedom. I could have been one of the people quoted in this chapter. I thought saying yes to God meant saying no to freedom…to what I wanted for my life…and just mindlessly following a bunch of rules (don’t say that word, don’t wear that dress, don’t date that guy!). Was I ever wrong! By the grace of God, I now have true freedom over so many of the things I was actually enslaved by before. And what you said was so true, Stefanie…if I see that I am starting to hold too tightly to something, I need to examine why and ask God to help me lay it at His feet. Really great insight – trusting that as the Lord continues to grow me I will be able to fully understand just how infinitely valuable He is, above and beyond all and that my actions will, without even hesitating, reflect this. I think that I *know* this in my head, but it’s just not always the overflow of my heart. Funny you mentioned “control,” Stefanie. Because that’s the one word that’s been at the forefront of my brain all day after reading your overview this morning. Though my ongoing personal control issues are not exactly “sacrifices,” they are certainly the main things that take me away from God rather than bringing me closer to Him and allowing me to lean on Him. So, when I am able to “let go” (a small sacrifice, I suppose) and relinquish control to God whatever the circumstances, that’s when I am completely allowing (and trusting) God to drive, and then everything works out as it should. Why is this so darn difficult for me? Perhaps because I’m human…and Type A, at that. I feel the same way. It is hard to give up control and at times it feels like a major sacrifice. Everything works so much better with God in control, but it’s still so hard to give it to Him at times. I think the more we “let go” the more we realize that He IS in control of everything! We’ve had our hands on the wheel, so to speak, but he is holding the entire car in His hands. We fret and worry over things unnecessarily – He just wants us to look to Him! I’m reminded of the verse in Matthew – “But seek ye first the kingdom of God and His righteousness, and all these things shall be added unto you.” To me, this is God telling me to quit worrying about MY world and start busying myself with HIS world… and in return I can trust Him to handle everything in my world. So true! Someone once told me that following the Holy Spirit was like following a wild goose. It makes absolutely no sense to you why you are going where you are going at the time, but eventually you end up where you need too be. I’d like to tell you that I have made sacrifices in my walk with God, sacrifices that have produced depth and fruit and righteousness. I’d like to tell you that I am in the habit of “giving things up” regularly. I think my walk is oft characterized by laziness, apathy, confusion and selfishness. I can hear what Keller is saying at the end of the chapter—the pursuit of God, whatever the sacrifice, paradoxically brings freedom and richness. I can hear my own heart cry, “Yes, that’s what I want.” And, yet, I don’t act. I feel often that I—like Jesus’ closest disciples– have fallen asleep in the garden, only to Jesus’ pleadings for an invested heart, and only to fall asleep again. And the part I don’t quite get, the part that has me truly perplexed in light of this chapter, is that it’s not like I have things/situations/agendas that I am unwilling to give up… It’s not to say that I don’t have idols of the heart, because I do, but in the end, I feel pretty ready to release them. So, this question is hard. And, I think it’s hardest because my road seems pretty darn easy—I’m not sure Christ has asked much of me—and in the end, I still fall so very short. Thank goodness His grace is sufficient! I’m right there with you. I’ve been on a read the Bible in a Year plan since 2009. I am ALWAYS behind and I’ve never actually made it through a year. I go in spurts with faithful listening to it, “binging” on God’s Word to catch up, and times I’ve gone weeks at a time without listening. I feel like I always want to do it, to spend time with God, but then I don’t actually do it. I am constantly reminding myself of both His grace and that I’m still closer to Him than I was in 2009. Thank you so much for articulating this! I’m trying to compose my answers and currently question two read’s: “I can not think of anything to answer Stefani’s question here. I’m a bit afraid of what this may mean.” You expressed my feelings so articulately. I’ve heard it referred to (J.I. Packer, specifically) as ‘thorns in our bed’ – when God uses difficult things or experiences to raise us out of our complacency, our apathy, in order to draw us to Himself. It is my prayer that God might use this study as that very thing! it is a great question to ask- as it really reveals where you are in your relationship with him- how you view him- how YOu think he views you. i forget that Jesus loves us– he see our heart and our attempts and our desires– and honors that– He’s not disappointed that we try and fail– i wish i parented more like that. Thanks for that question. It’s definitely something I need to ponder. YES! its like I was reading my own thoughts in what you wrote! I agree also. Most of the things God asks of me are so small and I still seem to lack. I think I use life as an excuse. I have so much to do, as we all do, but I let that lead me instead of God. I started getting up early in the morning before anyone else for quiet time with God. This has made my life so much better. I feel so rushed most of the time and this quiet time helps me to start my day with God and to slow down. Yes, I agree! We are in a season of waiting to adopt for the first time, and I am wondering and partially dreading what He will call me to give up. At times, my current children become my little idols, my easy attachment to them, their charming behavior. And things are so easy right now, sometimes I just fall asleep, like you said. Part of me is fearing the unease, the difficulty that may be coming (not that we are not so completely excited about this adventure He has set before us!). But I also know it will allow me to trust Him in ways I have not yet “needed” to. Wow I read your post and feel a lot like I could have written it! The only thing I can think of is that when I moved to China 8 years ago, I knew and verbalized my acceptance (to those praying with me over the decision) that it would make it likely I would not marry as soon as I’d like, maybe not at all during my time here. It has been true; there are many single women here and I can count on the fingers of both hands the number of single, believing men I’ve known here in this length of time; by now most of the ones I meet are also 6-8 years younger than I. I think it’s like that a lot of places around the world, don’t know why. It’s not a permanent sacrifice, though. I’ve found my heart and “direction” changing these past six months, and now I’m planning to move back to the States after the next school year, and I’ll admit the hope of marriage is part of it, but I don’t feel I’m running away, I feel this is the right path. Still, I gave up my long-time determination to get married and start a family younger than my parents, so I wouldn’t be as old as they were when my kids grew up and so my kids would have their grandparents around longer than I did. I am just passing the age at which my mom gave birth to me – she was almost 33; now I’m 33 and she just turned 66 – and it’s been a little more to die to and give away each year since I passed the age at which they got married years ago. My husband and I live in the same small town from whence we graduated high school. Many of our classmates still live here, as well. We have discovered that we have had to sacrifice relationships with these friends in order to pursue a more godly lifestyle which brings honor to Him. Many of our old “friends” live the bar scene on the weekends. We decided years ago–even before kids–that we would not partake of that life. Over the years, we have been invited less and less until now it’s almost never that we are asked to “hang out” with the buddies from high school. Even friends who live out of town have shunned us since we’ve refused one too many times to meet them at the nearest bar to reminisce over old times. To be quite frank, I’m not sure this even qualifies as a sacrifice. Maybe for my husband it does more than for me, because he’s lived here his entire life. I don’t want to be friends with people who live that way. That’s not to say that I’m not nice and kind to them whenever our paths might happen to cross. I just don’t care to jeopardize my relationship with God and my witness to the world by giving in to their demands. It does hurt a little, though. To be cast aside by these people over something as trivial as drinking, rather than filling up on each others’ lives through conversation and fellowship. There is a little sting to it, no doubt. But I “count it all joy” to live my life for Christ. Are there other sacrifices that I’ve had to make? You bet! Probably about a 1,000 or so…and they all begin with “me.” I have to sacrifice my desires for His every.single.day. Some days that’s easy to do. Some days it’s not. But again, I can look back and see how God has honored my sacrifices for Him, and I see where He has worn smooth some of my rough edges. And for that I am eternally grateful to Him. So, is Christianity a straightjacket? Well, like Keller says, even love is a straightjacket of sorts. To those IN love, it is a joy and a privilege to lives one’s life for the other. To those OUT of love, it looks confining, restraining, and downright restricting. Our job is to shine so that others WANT to be IN and not OUT. Good for you for being true to yourself. I was treated differently when I was younger and after a while I gave in because I was tired of being left out. I wish I had been stronger then and looking back now I think how silly some of that was. I have learned from this and I finally realized what was most important and it isn’t pleasing the world, but God. I am still pulled by worldly desires, but I keep looking to God and He is always there. I want my life to pull others God’s way and not for me to allow myself to be pulled away. I love your response Stefanie! I never looked at “control” as a sacrifice. I grew up Catholic and a sacrifice would have been giving up chocolates, cursing and drinking. These things seam silly to me in comparison to control. As a mother I to felt that I had a big part in molding my children into successful adults. I took all their triumphs and defeats personally. It wasn’t until recently that I realized that I wasn’t in control of anything! God was and I had to trust that he would take care of them and he did. It was my “aha” moment. God is good always! Oh yes, many many sacrifices… Funny I look back now at what seemed “sacrifice” and with hindsight see perfectly how it has grown my heart and led me to not only a deeper relationship with God but with other people. One major sacrifice was with my fertility. 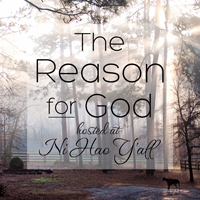 It was difficult to hand that over to God for so many reasons. When I embraced my faith (was raised Catholic but didn’t really live it until I was 26) I began a journey of learning. One beautiful truth I learned was about my femininity and what a gift it was to be a woman. We are wonderfully made and I honestly did not realize that birth control was working against my marriage (how can you give the complete gift of yourself to your spouse while holding the procreative aspect back) and it worked against the nature of my body. Learning natural family planning was very difficult for us at first, oh I could tell some stories! I remember praying, pleading with God, “how can this be the right thing to do when it is causing such a problem between us?”. But that was it, NFP also exposed all our weaknesses as a couple. By God’s grace we stuck to it and are realizing the blessings in our marriage that come from unselfish love, charity and humility. But absolutely the greatest blessing from my “sacrifice” is my awareness of God as a loving Father who knows whats best for me and who finally gave me the marriage I always desired just for allowing Him into it. The very places we try to keep God out of are the places we need Him the very MOST! That is where I find my answer to this week’s question. While I would never consider anything I’ve given up a sacrifice compared to what Jesus has done for me, I’ve certainly allowed God to weed the garden of my heart and prompt me to let go of a lot. Coming to know Christ as an adult could have been viewed as a sacrifice because I essentially lost my life as I knew it at the age of 36. I had a great career, a nice enough home and a ‘typical’ family with three children. Immediately upon following Jesus, my perspective and priorities changed. Not out of duty, but in response to loving the Lord. I desired differently. I would never go back to my life before Jesus! One of my biggest sacrifices was moving to Florida to go to grad school. Okay, I know some of you are thinking that FL is pretty much paradise; but as a Midwesterner who loves winter and doesn’t like weather above 80 degrees, FL was a sacrifice. I moved 2000 miles away from family and friends to spend the majority of my time studying. I was an outcast in my department due to my lack of heavy drinking and partying. Through this sacrifice, God brought me into a group of online friends that taught me how to be in a real relationship with Jesus. Plus, He made sure school was so hard that I had to completely lean on Him to make it through. By doing so gave up my school idol to Him and am now 100% certain that I never could have done it without Him. I think a move can be a really big deal, even to Florida 😉 Good for you for being obedient, it sure sounds like He has blessed you in many ways! I think that I don’t regularly really think about the things I give up in order to be a Christ-follower. Perhaps it is because I have become complacent in examining my life and what might be hindering me from a closer walk with God. But I will say that having an 11 year old in my house has made me contemplate what it is that makes us different and how our choices can glorify God. Having to explain to my daughter why we don’t do or do do X, Y or Z reminds me of the higher purpose of our actions. And I love that she, so far, doesn’t view these choices as constraints – just part of her testimony. This is a really interesting question. My first thought was no, I haven’t had to make any sacrifices. Then I realized that along my journey in life and growing in my relationship with God, I have given up the ‘need to understand or know.’ I think I was and to some extent still am a doubting Thomas—seeing is believing kind of person. I think sometimes when we look at all our blessings in this type of light; we tend to miss out more than we notice . It was during graduate school that I came to the realization that I didn’t need to know and understand everything. This was true in my academic studies and I realized if it was true in that setting it would also be true in my understanding all of the “Why’s” we tend to ask God. So I let it go. The result is that my faith has strengthened and I feel freer in that strength. Faith is so essential to the Christian walk. Reading your comment, Hebrews 11:1 came to mind – Now faith is the assurance of things hoped for, the conviction of things not seen. And 11:6 – Without faith it is impossible to please him, for whoever would draw near to God must believe that he exists and that he rewards those who seek him. And how much MORE can we trust not knowing all the “whys” when it is God we are asking?! My first instinct was that I don’t really sacrifice much. But then I thought hard, and dug deeper. I did not walk with the Lord for a period of time. I was seeking love in all the wrong places, and living a lifestyle that was not pleasing to God at all! But over time, God got my attention and I resumed my walk with Him. It’s been hard work to grow close to Him again. I don’t have any of the same friends. It’s been tough to overcome the guilt and shame of so many choices I made back then. But I don’t see any of it as a true sacrifice. The love GOD shows me is so much better! Wow, Teresa – what a beautiful testimony to the patient, merciful and PERFECT love of God 🙂 And AMEN, His love is SO much better! I think that anything that felt like a kind of sacrifice for a moment turned out not to be. Certainly there have been times when, as Father peeled my clinched fingers off of some idol, the process seemed painful. And it at times was. There were reasons for why I was so tightly clinging to that thing, and even if I could barely recall or articulate them all, my fingers may have been so tightly wound around the thing for so long that I just could not imagine it any other way. But the truth is, whether He revealed to me something to give up through the Holy Spirit and I gladly walked away or whether the “letting go” that I was called to do was slow and more painful, it has ALWAYS ended in joy and freedom. HE is the treasure! The more His grace allows me to taste that and know that and the more I know and love Him, the easier and easier it gets to make any kind of “sacrifice” and the more I desire nothing besides Him. And the more I trust His infinitely good wisdom over my own. I feel like for me the struggle comes in the form of relationships, but not in the very obvious way. At 18, I still have never dated, and I am very okay with that – I’m still waiting for the right guy. But my biggest issue is the gray area with friends, especially when I have many, many friends who don’t believe what I do, and very few who do. I find myself closer to the people with different beliefs, because we have more in common interest wise. I know there are lots of Christians out there with similar interests, but I just have yet to meet many. Especially being in such a transitory time in my life (about to go to college, no real “church family” anymore, just leaving high school) I feel like I’m constantly walking a thin line with the boundaries of having good friends of all beliefs, which I know is okay, and still making sure that I am firmly grounded in God. None of my friends drink or party or do bad things, which makes it even more gray. Perhaps, none of this makes sense. But as I read through this chapter, this is what it kept surfacing in my mind. Where is that line between friends vs God? I’m having a hard time coming up with an answer. Maybe because my mom is visiting and things are crazy. I’m somewhere between define sacrifice and is it really sacrifice if it’s not so bad? Then I wonder am I really giving anything of consequence up for God? I hope that even though I’m having a hard time, someone looking at how I live my life would see the sacrifice. I hope that the time I give, the way I choose to live my life is evident to others without boasting about what I do. In the end, as I consider things, I think because I know what God has done for me, my sacrifice seems so very little. I know I sacrifice for my kids and I barely see it. I hope that I’m not seeing my sacrifice for God because of the relationship I have with Him. I can relate, Brandi. I think, as we walk more closely with Him, what we give up becomes less and less important – because our relationship with Him becomes more and more important. Yes, absolutely. However the closer I get to God they don’t seem like sacrifices. The more I learn about God the more I realize what seemed like a sacrifice was really something that was better for me. I do still fight some of these changes for many reasons – selfishness, pride, wanting to please, laziness. I know God has the best plan but sometimes my desires for this world get in the way, unfortunately. I know better and I hear God, but I just want to do things my way. This is getting better and life is better because of it. Hopefully someday soon I will fully realize this. My something specific has to do with my marriage and giving up my selfishness and pride in our relationship. It took me a long time to realize that it is not about me, but about pleasing God and doing what He wants, no matter how I am currently feeling. I wanted to make my husband happy and be a good wife, but on my terms when I felt like it (pretty selfish). I bought into the lie of getting married and losing who I am and not doing what was good for me, so I was not going to let that happen. I thought I would lose myself, but just the opposite happened when I finally started listening to God and being the wife for my husband that God wanted me to be. When I do things to please my husband I please God and I am fully finding me in this. My marriage is more than I could have imagined. I just had to actually hear God and do what He wanted. At first this might have seemed like a sacrifice in my worldly head, but now it doesn’t at all. Seeing my husband happy makes me happy and on days when I am feeling grumpy I just keep my eyes on God. God did love us first and loving Him more and more is what I pray for every day. God always knows best. When I think I am sacrificing I just think that He only wants the best for me. I still stuggle and can’t say I always listen and obey, but I know God won’t give up on me and so I just keep on keeping on. This has been a hard answer for me because God took me on a detour in the book…..my heart needed to be broken and He knew just the pages to do it. The sacrifice I have made and will have to continue to make is that of the love of material things. It is the ugliest part of my heart and it makes me cringe to write it but there it is. I want a newer car, desperately. I have longed for and coveted a car that has been dangled before me for the last 8 months. It is one of those deals you can’t find anywhere and we really can’t afford anything else. The lady who owns it is in the process of buying a new one, (yes for 8 months)and I have been “patiently” waiting. When my husband gently pointed out that maybe part of our delay was because I was so consumed with it. I was so mad. I felt like a cruel trick was being played on me. I ranted and raged in my heart for all of Sunday…..let me just say that it was ugly. I am surprised and thankful that I wasn’t struck down like Ananias. But Monday morning His grace was new again and I saw that my worth is not in my house, or the car I drive. It’s in Him and how I show Him to others. I can’t love His people the way He wants me to if I am loving things that have no eternal value. This has been a tough question for me – I have realized, like so many of you above, that the sacrifices that I have made, on THIS side of the sacrifice prove only to be something that God has used to refine me. So the term sacrifice doesn’t seem to “fit’ anymore. Did they hurt at the time – absolutely; but would I change it – never. That was very eye opening to me and it freed me from feeling so worthless in the areas that I seem to always fail and need to be “re-taught.” I think that if I displayed that attitude in all aspects of my life, I sure would be different. I don’t feel like I have a lot to add. I agree with many of the above posters that it was a difficult chapter and what I would call a sacrifice is hardly that. There are times I can think of specific things the Lord has asked me to give something up. At times, I was too stubborn to do it and other times I was willing to let it go freely. But, still, to call some of these things sacrifices seems extreme. One time, while I was being particularly stubborn, was to let go of a relationship I was in. We were both holding on, knowing full well we needed to let go. After too long of a time, it ended and left me with more pain than I would’ve been in otherwise. Additionally, I “wasted” precious years at a very fun stage of life. Of course, good things came because of it and it all worked itself out, but at the time, it was very real. The only thing that had me thinking beyond that question was the very first part of the chapter with Chloe and Keith. It reminds me of a time, as a new believer, that there seemed to be a mold or a pattern to follow if you were a Christian. If you’re a rule follower or a people pleaser, it’s not hard to conform to what is generally allowed within the Christian community. If you tend to have a rebellious side or want to push the boundaries, your faith may be in question by the same community. Now, I feel like I’ve been released of the pattern or what things should look like. There is infinite freedom when you look at Christianity through these lenses instead of the former. You have a wine tasting with girlfriends? You commune with God while in the woods? You vagabond around a foreign country? You skip church for a family event? You’re an artist who connects with God through color? The freedom within Christ, while holding on to the universal truth of Him, is infinite. This has been a hard year for me when it comes to sacrificing my understanding. Our oldest dang hyper has really struggled with medical problems this year and every time we have a procedure I think, “this is it, all of the symptoms are finished.” I’m am then shown that this is only the beginning and we only took care of one layer of problems only to uncover more. I get frustrated, tired, anger and DON’T UNDERSTAND. This has lead me to a wonderful set of scriptures that I have just had to cling to get me through. My fav. Psalm 91:4 ” He will cover you with his feathers, and under his wings you will find refuge; his faithfulness will be your shield and rampart.” How wonderful that when it doesn’t make sense and it all gets to hard to understand I can hold on to these truths and find rescue for He is always faithful. Which then leads me to Isaiah 55:8-9 8 “For my thoughts are not your thoughts, neither are your ways my ways,”declares the Lord.As the heavens are higher than the earth, so are my ways higher than your ways and my thoughts than your thoughts ” .I have sacrificed the need to understand and grown in really learning what it means to rest in HIM. Wow, I’m so glad I waited to answer this question. I gained so much insight from all of your answers! I love when you read the stories of others and though the situation may be different, the feelings and emotions can strike a chord. Like many of you mentioned, my sacrifices seem so insignificant when I try to list them. Most of the things that God has asked me to give up have been so small that I’m almost embarrassed by my lack of sacrifice. One area of sacrifice that I do struggle with is my time. God has asked me to give my time to further his kingdom. I’m currently volunteering in several areas of my church and in my job. And lately I’ve just felt burnt out. I even started resenting one area of my volunteering. A couple of weeks ago though, God opened my eyes to how he is using me. He has given me a talent for serving and the love for it. Why am I trying to run away from that just because it got hard? I want to continue to honor God and grow closer to Him through my service. I try to remember Nehemiah 6:3 “I am doing a great work, and I cannot come down.” It’s only a sacrifice if you make it one. Delayed with posting this week. I keep praying that God would change my heart and my attitude. I want to support my husband and be there by his side. Mostly I want to please God and not be so selfish! Sorry this is not very organized but just trying to get my thoughts out. ugh…i’ve been there! and the difficult thing is that in your own strength the heart change you desire won’t happen, but as you do make those efforts of obedience to be in the Word, by the power of HIs Spirit and His Word, He will change your desires and give you a hunger for more of Him! thanks Tish – that’s what I need to hear! We’re also struggling to find a church we both like. We continue to pray for God’s guidance and direction!! I was running this week quite literally… VBS coming up and Grandma is visiting. I finally got a blog post together. Thought I would post the link in case anyone was interested. just read it, brandi! so much to chew on, right? i think the aim keller comes with in it all is LOVE…your example of the tween helper reminded me of this. she wanted to help, but didn’t have love fueling her actions. First, I have to say that I am so lovin’ this book and Bible Study! I love reading all of your comments. Any sacrifices I have made to spend more time with the Lord really don’t seem like sacrifices, but then that makes me think…..am I REALLY sacrificing???? I know I DO need to spend more time with Jesus…..so this means I need to look closely at myself and see what is holding me back? What idol? What fear? Hmmmmmm??? Self-examination is scary, but I pray for God to reveal to me what and how I should sacrifice for our time together. As far as ‘giving something up’ is concern……I would have to say that I use to be a Type A person…..now I would say i am about a Type B- person. lol Giving up control over my marriage and how I want my kids to be, and how clean my house should be….etc……has been so freeing. I use to be such a ‘detail’ person…..and now, not so much. Don’t get me wrong, I haven’t gone all ‘willy-nilly’, but I have certainly grown in my trust for the Lord. I have found that if I just give over these things to Him and then let Him direct me or just let Him take care of these ‘deets’, I have more time to enjoy all the blessings God has given me. I seem to be enjoying life and all the little things more now than ever!